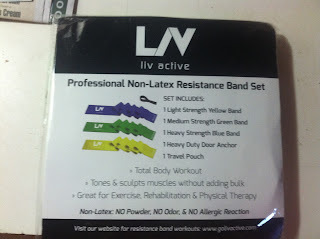 These professional-grade stretch bands by LIV Active are a great way to workout. 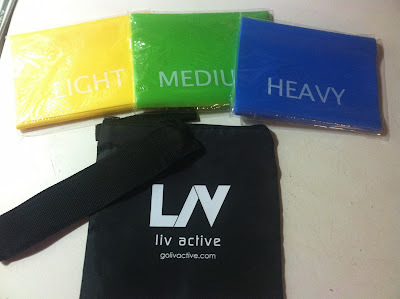 They come in three different colors which are all in different degrees of strength depending on what you need. All three come in a travel bag which also includes a door anchor. 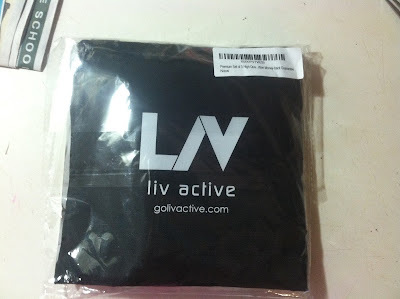 Once I took it out of the box it was inside a plastic shrinkwrap bag. On the back you can see what each color represents. 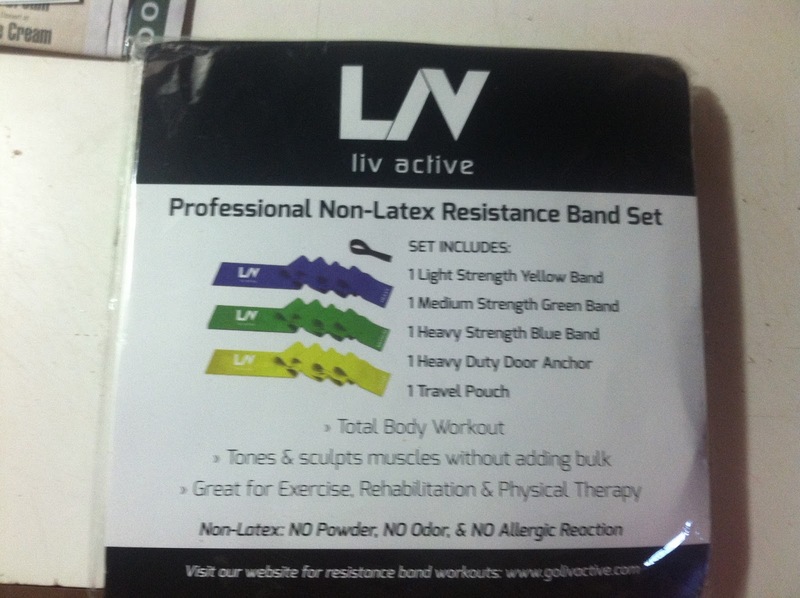 There are many different exercises to do with these resistance bands. It is a perfect way to get some exercise in no matter where you are. 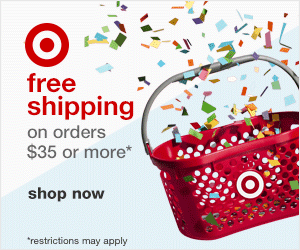 These are easy to take with you anywhere. Disclaimer: I received a deep discount on this product for my honest opinion.